Researchers from The University of Texas M. D. Anderson Cancer Center have developed a new assessment tool to measure the severity of symptoms that can complicate stem cell transplantation. The tool assesses symptoms resulting from chronic graft-versus-host disease (cGVHD), and was presented with supporting research at the 2010 Bone and Marrow Transplant Tandem Meeting. cGVHD - a chronic disease that requires the close management of symptoms for an indefinite period of time - usually develops more than three months after allogeneic hematopoietic stem cell transplantation (alloHSCT). cGVHD occurs when transplanted donor cells recognize the recipient as foreign and begin to attack the patient's organs and tissue. The disease causes physically debilitating symptoms in 40 to 80 percent of transplant patients. Inadequate diagnosis and assessment is a major barrier to successful treatment of symptoms. According to the Center for International Blood and Marrow Transplant Research, approximately 19,000 allogeneic stem cell transplants were performed worldwide in 2006. Using the existing M. D. Anderson Symptom Inventory, or core MDASI, a systematic, patient-reported outcome measure for clinical and research use, researchers developed a reliable and sensitive measuring system for cGVHD. On a scale of zero to 10, the new tool rates the severity of symptoms common to patients with the disease and to what extent those symptoms interfere with their daily life. The MDASI-cGVHD is one of 11 MDASI tools for symptom management used by clinicians at M. D. Anderson. 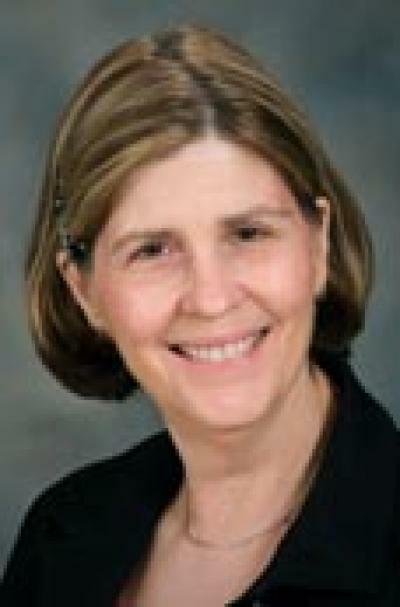 "There was a real need to develop this tool because chronic graft-versus-host disease is a vexing side effect that can become a serious condition in a very short period of time, threatening the success of the transplant and creating a dilemma for many patients who do not live near where they received their transplant or do not have access to a transplant specialist," said Loretta Williams, Ph.D., R.N., A.O.C.N., O.C.N., an instructor in the Department of Symptom Research at M. D. Anderson and lead author on the study. "Now we can assess quickly in person or over the phone whether a patient has developed symptoms of cGVHD and make arrangements for the patient to receive further assessment and treatment if necessary." To develop the tool and establish its validity and reliability, researchers studied 116 patients with cGVHD and 58 without cGVHD, all of whom had had a transplant more than three months before. Using the core MDASI, each patient rated the severity of 13 symptoms common in cancer patients and to what extent those symptoms affected six "interference items," or general aspects and activities of daily life. Patients also rated 14 additional cGVHD-specific symptom items, generated from patient interviews and expert panel ratings. Statistical analysis determined that five of the 14 cGVHD-related symptoms were clinically significant and unique to cGVHD patients, including muscle weakness, skin problems, eye problems, joint stiffness or soreness and changes in sexual function. The resulting comprehensive MDASI, which combined the 13 core symptoms with the five cGVHD symptoms, was sensitive to the presence of the disease. Results from the survey also correlated significantly with a patient's report of overall quality of life. "For the first time ever, we have a reliable tool to provide better support to patients following their transplant," Williams said. "The survey will help open the conversation about chronic graft-versus-host disease between doctors and patients and identify complications more quickly. This may lead to better outcomes following stem cell transplantation." The MDASI measures symptom severity and interference levels on a scale of 0 to 10, with zero meaning the symptom was not present and did not interfere with a patient's daily life, and 10 meaning the symptom's severity and interference in daily life was the worst imaginable. Core symptoms include pain, fatigue, nausea, shortness of breath, poor memory, difficulty sleeping, lack of appetite, dry mouth, sadness, vomiting and numbness or tingling. The six "interference items" include general activity, mood, work, personal relations, walking and overall enjoyment of life.